Epilepsy is a neurological disorder that can cause frequent and recurrent seizures, convulsions, and even loss of consciousness. It is typically associated with abnormal and excessive electrical activity in the brain. Many cases of epilepsy are unique, with patients experiencing different symptoms and types of seizures. Often times the cause of epilepsy can be completely unknown, people who have epilepsy with no known cause may have a genetic predisposition to it. And while a genetic predisposition to epilepsy can at times be identified as the cause, there are many forms of epilepsy for which genetic testing is not yet available. Other non-genetic causes include head injuries, brain infections, strokes, tumors, etc. Approximately 1 out of every 26 Americans will develop epilepsy at some point in their life. While epilepsy has no cure, treating the disorder can be of the utmost importance. Roughly 34% of all sudden deaths in children is due to epilepsy. Death due to epilepsy is often a mystery but can at times be linked to respiratory, cardiac and cerebral factors as well as the severity and length of the seizure. Many studies have shown that cannabis can help prevent seizures in people living with epilepsy. And for people who aren’t having the desired results from conventional treatment, often times medical cannabis is one of the few avenues left to explore. While there are over 400 chemical compounds in cannabis, for epilepsy treatment we will be examining a specific group of those chemicals. There are over 60 CBDs or cannabinoids found in marijuana, these cannabinoids are non-psychoactive and are often attributed to having medicinal potential. 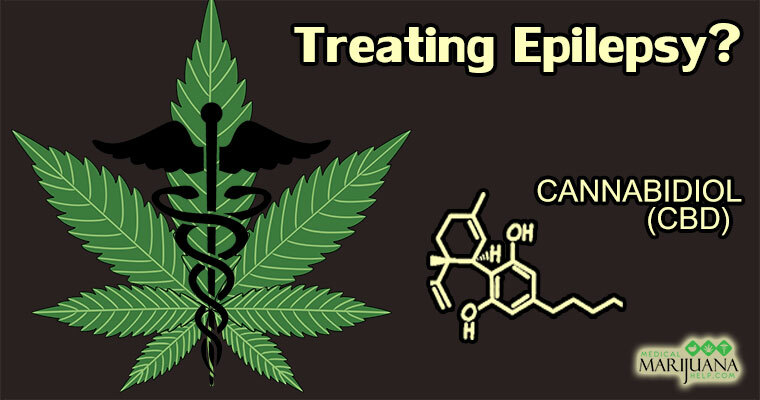 Epidiolex is a CBD oil based extract manufactured by GW pharmaceuticals containing 99% CBDs and just .1% THC. While GW pharmaceuticals are currently seeking FDA approval to market the drug, they have managed to conduct an open label study. The study involved 214 people between the ages of 2 and 26 years old, with an average age of 11. All of the people who took part in the study were not currently responding to other methods of epilepsy treatment. During the study, seizures decreased by an average of 54%. The findings pertaining to those who took the drug for a total of 12 weeks were published in Lancet Neurology. Another study also published in Lancet Neurology also shows findings in favor of treating epilepsy with CBDs. The study which was conducted on 162 people showed that when taking Epidiolex seizures were reduced by an average of 36%. In addition to this, 2% of people became completely seizure free. While it’s impossible to know if those people would have become seizure free whether they had been part of the study or not, it’s certainly a good sign. It also seems worth mentioning that while people taking Epidiolex did experience some mild side effects from the drug, mainly sleepiness and fatigue. When it comes down to it these are just studies, they can only prove so much. Everything is subjective, and when it comes to treating a complex syndrome like epilepsy, some things will work for some people, but not for others. If you or a loved one is looking for alternative treatments for their seizures, it can’t hurt! It also seems prudent to note that when treating epilepsy with medical marijuana, it’s important to look for strains with high CBD percentages.